As I was looking over my feed reader today, I saw a post from the Center for Theology and Philosophy noting a sale on Conor Cunningham’s excellent Darwin’s Pious Idea. It can now be purchased for $7.98. This is an excellent deal and you should definitely jump on it. David has kindly sent out a call for our ‘My 3 Books’, in the spirit of Theology Studio‘s tradition of asking its interviewee’s which 3 books have had the most profound affect upon them theologically. Such decisions are always incredibly difficult ones, and I could add at least another ten books to this list, but, if one were to have to choose, I think this is where I would start: Practice in Christianity, by Anti-Climacus / Soren Kierkegaard, translated and edited by Howard V. Hong and Edna H. Hong (Princeton: Princeton University Press, 1991). Genealogy of Nihilism: Philosophies of Nothing and the Difference of Theology, by Conor Cunningham (London: Routledge, 2002). I distinctly remember where I was when I finished this book: on my lunch hour at a Mexican food restaurant in San Diego next to the I-5 freeway. It stuck with me because, when I finished this book, I’d never read anything else like it. Yes, I had just finished John Milbank’s wonderful Theology and Social Theory, but, even though it was one of the most difficult books I had ever read at that point, something about this work really struck me. The combination of very dense philosophy on the one hand with beautiful theological prose on the other, alongside such a variety of sources that I wouldn’t have regularly thought was possible. But beyond stylist remarks, it was Cunningham’s vision of proposing a theological alternative to the logic of nihilism that, contrary to most un-nuanced accounts by his detractors, is not simply one that argues that theology is ‘better’ than nihilism; rather, he shows that both nihilism and theology begin with accounts of nothingness: the former cannot stand upon it’s own edifice and ultimately becomes intelligible, while the latter Christian account is primarily one of gift that, out of nothing, God creates. On the one hand, such a logic is simple, but as it is not a ‘simplistic’ one, it is also the kind of account that takes a lifetime — an eternity, even — to understand, needing constant education (to echo Luigi Giussani). Those who know me will know I’m very indebted to Cunningham’s wide-ranging approach and style, not to mention the fact that he was my Doktorvater, so this book will always stay with me. I return to it often, if just for the bibliography alone! 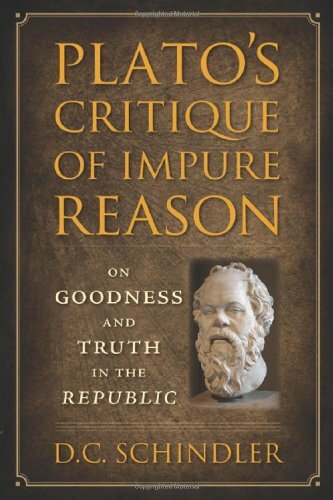 Plato’s Critique of Impure Reason: On Goodness and Truth in the Republic, by D. C. Schindler (Washington, D. C.: Catholic University of America Press, 2008). It is hard to imagine that a book on Plato like this exists. I’ve read a lot of scholarship on Plato and Socrates, and while some of it is very good and most of it is rather boring, this book stands out like no other. 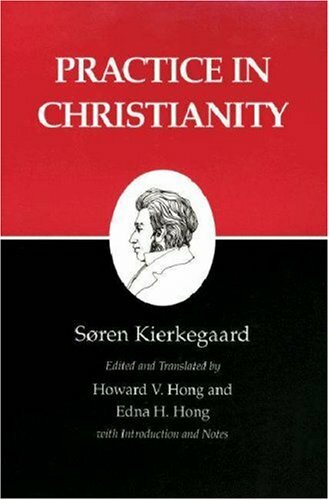 It is the kind of philosophical book where — and not only because I know the author’s theological commitments and indebtedness to Hans Urs von Balthasar — one can see the theological transcendence brimming from every chapter, without even mentioning Christ or Scripture. It takes a mind attuned to the beautiful to be able to read off of philosophical texts (eg, the ‘book of nature’, so to speak) and see a reality resplendent with the light of the Good, all while still maintaining a high standard of scholarship. All of this is prolegomena to say that D. C. Schindler’s work sums up a recent current to extricate Plato from the usual crude ‘dualisms’ with which he is accused. It can be summed up as a kind of ‘third way’ approach, one that argues not through analytic readings of the typical ‘What is F?’ arguments, but through an interpretation which attempts to order Plato’s works toward not just the Republic, but under Plato’s understanding of the Good itself. In this reading, the reader is reminded that Socrates, as the ‘stand-in’ for the Good, always returns to the cave in order to ‘save the appearances’. It is not a gnostic flight from the flesh into the transcendent forms, but an argument for understanding the particular at all, illuminated by the light of the Good. Eric Austin Lee is an independent scholar and web developer currently living in Sacramento, California. After recently receiving his PhD in Theology at the University of Nottingham, he is currently co-editing a collected volume on ‘The Soul’, acting as Managing Editor at the Radical Orthodoxy: Theology, Philosophy, Politics journal, and turning his PhD thesis into a book. His hobbies include playing European-style board games, exploring the world of craft beer, and smoking fine pipe tobacco. Here is my review of Conor Cunningham’s Darwin’s Pious Idea. I hope you enjoy. This is an excellent book and a must read for any and all (Christian and atheist) who think evolution and Christianity are firmly at odds. Cunningham shows that traditional readings of Genesis (i.e. Genesis as read by Jews and early Christians) does not require a Young Earth Creationist conclusion. Nor, however, does Darwin’s theory of evolution lead purely to an Ultra-Darwinian reductive materialism. As the subtitle says, both the Creationists and Ultra-Darwinists get it wrong. Cunningham upholds God as the creator of all things out of nothing, that Jesus Christ is the Son of God and is both truly God and truly man, and that life on this planet came into its current form through evolution. Full of scientific research and jargon, Cunningham painstakingly shows why fundamentalists (Christian or atheist) cannot say that evolution and Christianity are mutually exclusive. The book is not perfect, Cunningham can, on occasion, come off as harsh toward both Ultra-Darwinists and Creationists, but it because he finds the positions so untenable. Admittedly, however, the main aporia in Cunningham’s argument comes in the final chapter where he begins to discuss the nature of sin. Cunningham cites dozens of Church Fathers and shows well that their view of the Fall is purely contingent on the Incarnation. However, when he comes to Augustine he merely notes that Augustine’s work on original sin, the Fall, etc. were in the context of polemical discussions with Donatists and Pelagians. The problem I have is that most of the early Church texts are polemical, they’re written against gnostics, Arians, Eunomians, etc. Cunningham falls short in this area. Nevertheless, this book is well written and ought to be required reading for anyone wanting to study the interplay between science and Christianity. I highly recommend this book. 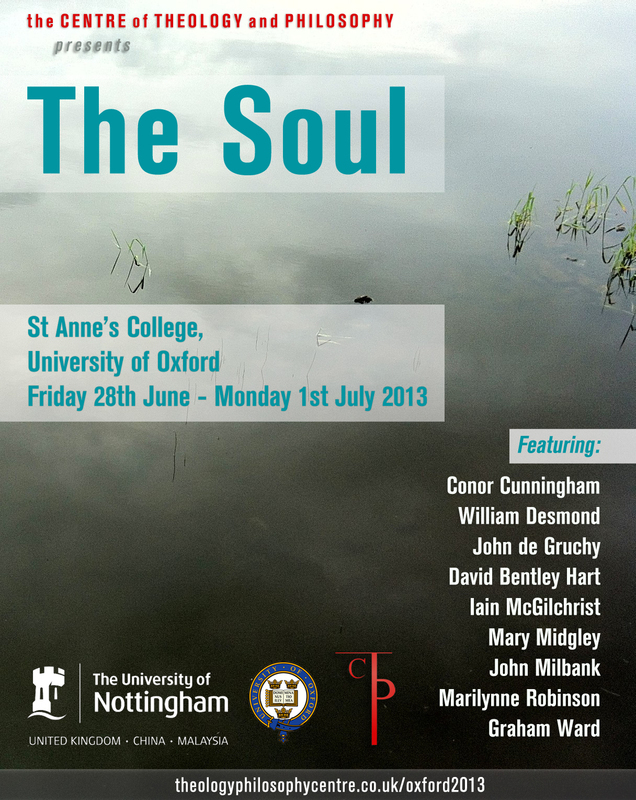 Well, I’m up, if not at ’em, this morning and back in Nottingham after the Centre of Theology and Philosophy’s conference on The Soul. The conference was, in a word, excellent. Never have I attended a conference so large, so full of varying positions on the conference theme (as well as other issues) and yet so friendly and cordial. I made many new friends and got to spend time with some old ones. My paper was given on Saturday and I am told it went well. I will be submitting for review and hopefully publication with the other conference papers given. I’ll let you know the results of that as well as who the publisher will be once I know. Both the plenary sessions and the panel sessions were filled with excellent papers. Some of my favourites, in terms of plenary papers, would have to include both David Bentley Hart’s and John Milbank’s which both sought to show that we cannot think of ourselves or the world without a notion of the soul. For both presenters, the soul is not something one has, as if, in kind of Cartesian sense, one could still be a human without a soul, but that to be human is to be made of body and soul and to reflect on this will turn us to see God. Before John and David, however, there was Iain and Conor. Iain McGilchrist gave an interesting presentation on the brain and the mind. McGilchrist was not wanting to go the direction of fully reductive materialism (I think), but his presentation put most of its emphasis on how the two halves of the brain were split to see things either in parts or as whole. Cunningham’s presentation, however, wanted to insist on why we need to think in terms of soul. For Cunningham (and I’m inclined to agree) pure materialism leaves you in a nihilistic vacuum where nothing can be good or bad. For Cunningham, the soul, and specifically, the Christian understanding of the world is the only way we can truly call things good and bad and have those words mean something. Marilynne Robinson’s presentation, in part on the need for further beauty in theological writing, was beautifully presented. Robinson speaks with the voice of the unadulterated, the pre-industrialised Midwest. Though I disagreed with her, or at least did not understand her at points, her talk was beautiful. As was the response given by John de Gruchy, which was one of the most charitable responses ever given. On the last day we heard from both Mary Midgely and later, William Desmond. Midgley, who will be 94 this September, did an excellent job, retaining the vim and vigor of her mind, if not quite her body. Midgely was one of the first to tackle Richard Dawkins back in, I believe, the 1980’s. Desmond rounded out the conference by speaking on Soul Music versus Self Music. As I understood it, the basic point of his presentation is that soul music goes beyond purely the self, that is the individual and connects all to all in expressing our innermost being. Desmond finished off his presentation, after Milbank gave an excellent response, the fashion you’ll see below. I definitely didn’t see this coming and was overjoyed when it did. Desmond also mentioned that enjoyed one of my favourite movies from when I was a child, Darby O’Gill and the Little People. All in all, this was an excellent conference and certainly plan to continue attending them so long as we have the time and money for me to do so. Plenary 4: William Desmond and respondents. Plus a great line-up of parallel sessions, one of which I’ll be presenting in on C. S. Lewis, his science-fiction, the Church Fathers, and, of course, deification. Therefore, my time this week is going to spent working on my second chapter and refining my presentation for the conference. What this means for me is mornings spent writing one thing, and afternoons spent editing another. Here’s hoping I don’t get the two confused. Also, perhaps quite apropos for the paper I’m giving, this year’s conference is in Oxford, so you can trust that trips to the Eagle and Child Pub, where the Inklings would meet once a week, will be in my future. I’ll write another post once the conference is over. For now, enjoy the rest of your week as I get ready to confer. Today I want to introduce you to someone who I have heard others call the rock star of the theology department here at Nottingham, Conor Cunningham. Conor is certainly one of the most well known faces from our department and his name is perhaps second only to that of John Milbank in certain theological and philosophical circles. Conor was born and raised in Belfast, and remained there until his university days. He began his academic career studying law, but through various channels found his way first to a degree in philosophy and then another in theology, on top of his law degree. 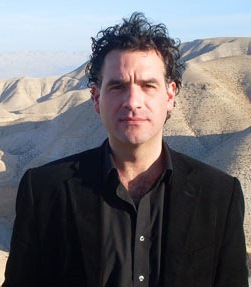 Conor did his PhD initially under John Milbank, but when Milbank took up a position in Virginia, Conor finished his degree under the supervision of Graham Ward (another man who works within the sensibility of Radical Orthodoxy). Conor’s courses centre around philosophy, theology, and science. He co-teaches a course Atheism with many other members of our faculty, as well as a course on Darwinism and theology. Conor’s teaching list also includes courses on phenomenology and philosophy of religion. Conor’s research interests are nearly as broad as his personality and this makes him an excellent writer and an entertaining and informative lecturer. Below are three main works by Conor to show the breadth of his research interests. “Being Recalled: Life as Anamnesis.” In Divine Transcendence and Immanence in the Work of Thomas Aquinas, edited by Harm Goris, Herwi Rikhof, and Henk Schoot, 59–80. New Series XIII. Leuven: Peeters, 2009. Genealogy of Nihilism: Philosophies of Nothing and the Difference of Theology. Radical Orthodoxy. London: Routledge, 2002. Why Study Nature and Grace? I hope you’ve enjoyed Conor’s videos, especially his enthusiasm. 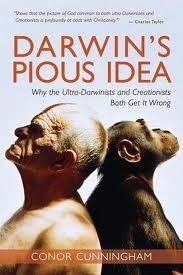 I highly recommend his Darwin’s Pious Idea for any who want to see the short-comings of Ultra-Darwinism and Creationism.